P Chidambaram accused the centre of compromising national security and questioned why it bought only 36 Rafale jets instead of the 126 the Air Force needed. The Rafale jet deal negotiated by the BJP-led government in 2015 was a windfall for French aircraft-maker Dassault, Congress leader P Chidambaram said today, citing an investigative piece by the Hindu newspaper that said Prime Minister Narendra Modi's decision to buy 36 fighter jets instead of 126 - negotiated by the Congress-led government - raised the price of each aircraft by over 41 per cent. 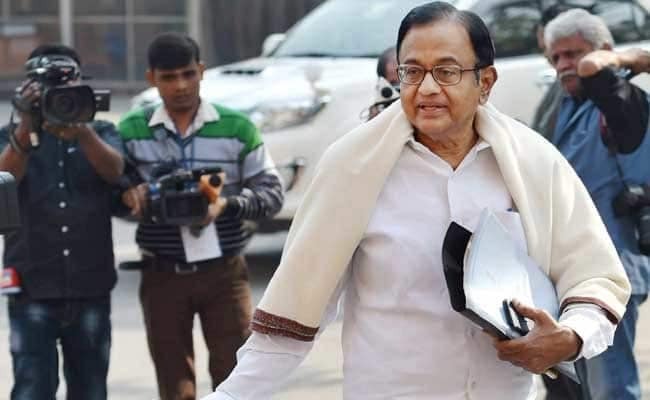 Mr Chidambaram alleged that the government paid Euro 25 million more per aircraft compared to the price negotiated by the Congress-led UPA. This means India would pay Rs 186 crore more per aircraft, at the 2016 exchange rate, he said. "This is my calculation depending on new facts. It seems Dassault is laughing all the way to the bank. The government has wronged the country in two ways. First, it has compromised national security by denying the Air Force 90 aircraft they desperately need. Second, it has purchased two squadrons that will cost euro 25 million more per aircraft. At the 2016 exchange rate, Euro 25 million is equal to Rs 186 crore," he said. "I have done this analysis in the time I had. It will require a little more time. I think the procedure was rushed through. I never heard of decisions taken based on a 4:3 vote," Mr Chidambaram remarked. The former finance minister also accused the government of compromising national security and questioned why it bought only 36 Rafale fighter jets instead of the 126 the Air Force needed. The Congress leader repeated his party's demand - articulated multiple times by chief Rahul Gandhi - for a Joint Parliamentary Committee investigation into the jet deal. Mr Chidambaram said The Hindu's story raised many serious issues about decision-making in the NDA government. Finance Minister Arun Jaitley, who is in the US for treatment, in late night tweets, said The Hindu article is based on fudged arithmetic and that the Supreme Court has examined prices. "The new Article on Rafale is based on fudged arithmetic - ignore the escalation of the 2007 non-deal offer and compare it with the 2016 price and invent a scam," he tweeted. "The Supreme Court has examined the prices. The CAG is examining the same. The fudged arithmetic of a compulsive contrarian can hardly be objective," Mr Jaitley added. The Defence Ministry too issued a rejoinder to 'The Hindu' report, and said the story has inaccurate facts which are devoid of any new arguments. "All issues have been answered in detail by the Defence Minister in an open debate in parliament", the Defence Spokesperson said in a tweet. Union Minister Smriti Irani, in a sharp rebuttal to Mr Chidambaram, said: "When the Supreme Court has spoken, the Defence Minister spoke for an hour and a half, the CAG (Comptroller and Auditor General) has all the files, they are repeatedly making malicious attempts to play politics. Congress has been exposed. Today, the person making false statements is himself on bail."